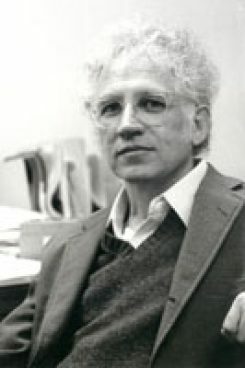 Among Professor Schuman’s honors are the Gordon W. Allport Prize in 1970, a Guggenheim Fellowship in 1980-81, and a fellowship at the Center for Advanced Study in the Behavioral Sciences in 1985-86. He received a Distinguished Faculty Achievement Award from the University of Michigan in 1989. He was named a fellow of the Society of Personality and Social Psychology in 1991, and in 1993, he was elected a fellow of the American Academy of Arts and Sciences. In 1994, he received AAPOR’s Award for Exceptionally Distinguished Achievement in the field of public opinion and research, the Paul F. Lazarsfeld Award, American Sociological Association, 1996, the American Association for Public Opinion Research Annual Book Award, 2005, for Racial Attitudes in America: Trends and Interpretations, and the Philip Converse Award for 2005 for Questions and Answers in Attitude Surveys: Experiments on Question Form, Wording, & Context, American Political Science Association. Schuman, Howard and Corning, Amy D. (2011). Generational Memory and the Critical Period: Evidence for National and World Events. Public Opinion Quarterly, 76(1), 1-31. Schuman, Howard (2008). Method and Meaning in Polls and Surveys. 214. Cambridge, Mass:Harvard University Press.